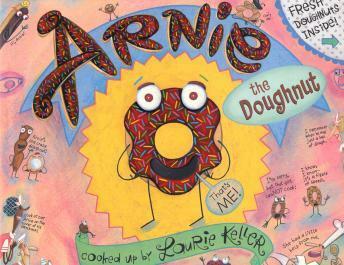 Arnie Looks like an average doughnut, made by one of the best bakeries in town. When Mr. Bing buys him and brings him home to his breakfast table, however, Arnie realizes his carefree days are about to end...unless he persuades Mr. Bing that a doughnut can be more than just a snack. Hilariously narrated by Michael McKean, with additional voices by Diana Canova, David de Vries and a cast of dozens! Music by Scotty Huff and Robert Reynolds. Co-produced by animator Daniel Ivanick and Weston Woods.